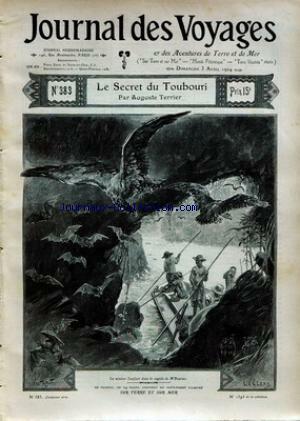 LE SECRET DU TOUBOURI PAR A. TERRIER – BOUSSENARD – DE CORVEY – LETURQUE – LEBLANC – DANRIT – BALET. 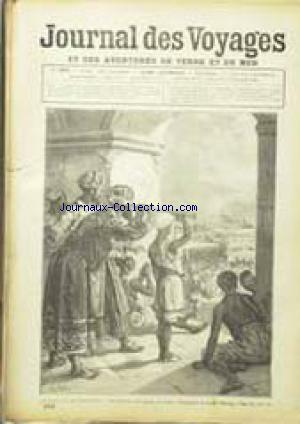 Partager la publication "JOURNAL DES VOYAGES no:383 03/04/1904"
AFRIQUE – LAC TANGANIKA – OASIS – LA MER DE CORAIL – CASTELLI – DESCHAMPS. 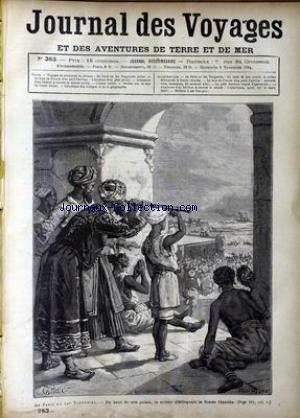 Partager la publication "JOURNAL DES VOYAGES no:383 09/11/1884"
DE PARIS AU LAC TANGANIKA – CASTELLI – DESCHAMPS.